Designer/architect David Chipperfield has re-imagined the classic Italian espresso maker. 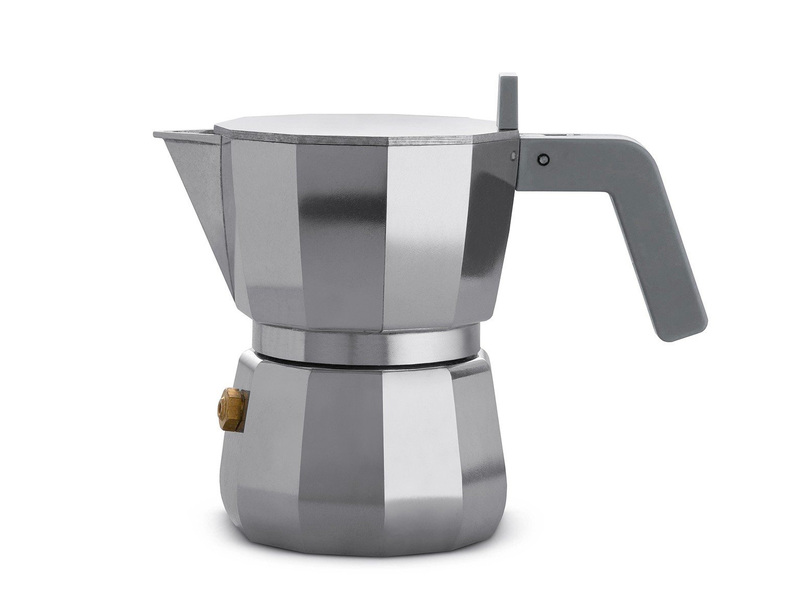 The aluminum, 11-sided Moka espresso coffee maker brews one cup at a time & features a few new design details—a flat lid on which to place the cups to be heated & the position of the knob which allows you to raise the lid using just one hand. 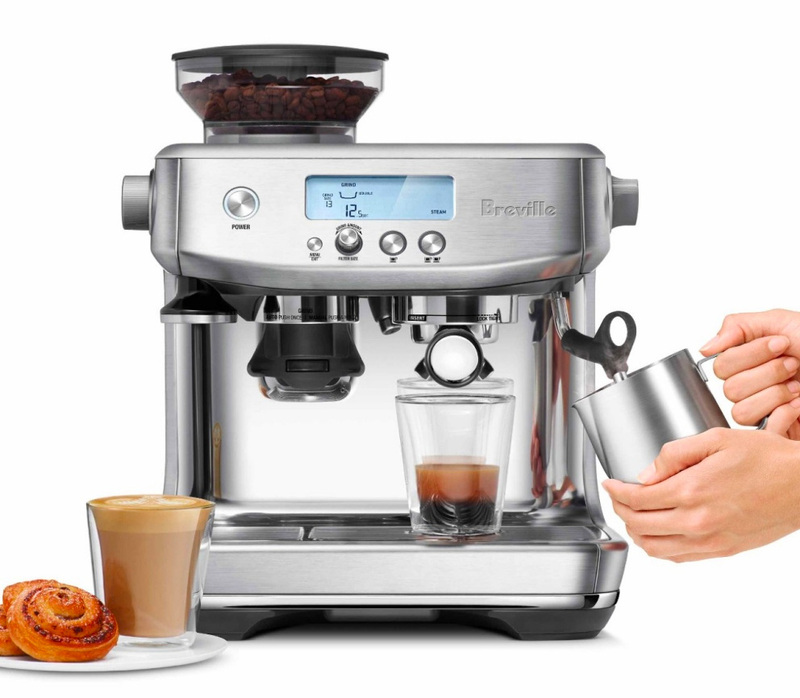 From bean to brew, the Breville Barista Pro Espresso Machine delivers barista-quality espresso drinks & it makes them quicker than ever, with its 3-second heat-up time & built-in grinder. An LCD screen provides all the info & options for making your coffee exactly the way you like it. 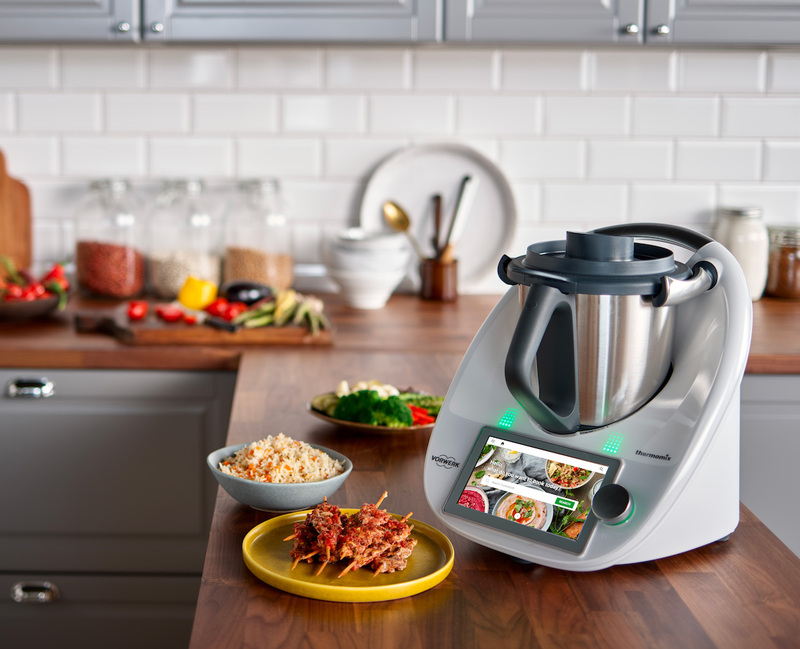 The Thermomix TM6 is the latest smart appliance from Vorwerk; a do-it-all device that will chop, whisk, knead, caramelize, brown, steam, sauté, blend, boil and much more. It is powered by a quad-core processor that also gives you access to a built-in library of more than 40,000 recipes all accessible using its 6.8-inch full-color touchscreen display. 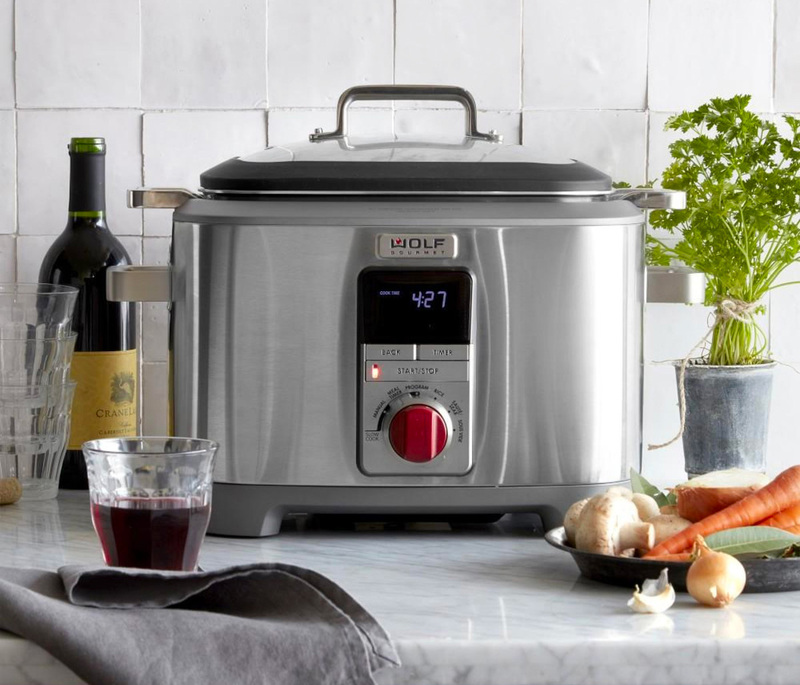 There’s not a lot you can’t make in Wolf Gourmet’s Multi-Function Countertop Cooker. This premium, space-saving appliance works as a slow cooker, rice cooker, Dutch oven, and even does sous vide. It features easy-to-clean stainless steel construction and measuring 17 by 12 inches, it won’t take up a lot of counter space. Like you, the Texas-based team behind Zip Top reusable containers is fed up with rummaging all through that cupboard—and then the dishwasher—looking for the stupid container cover. Theirs don’t need a stinking lid, they zip shut & stay sealed. 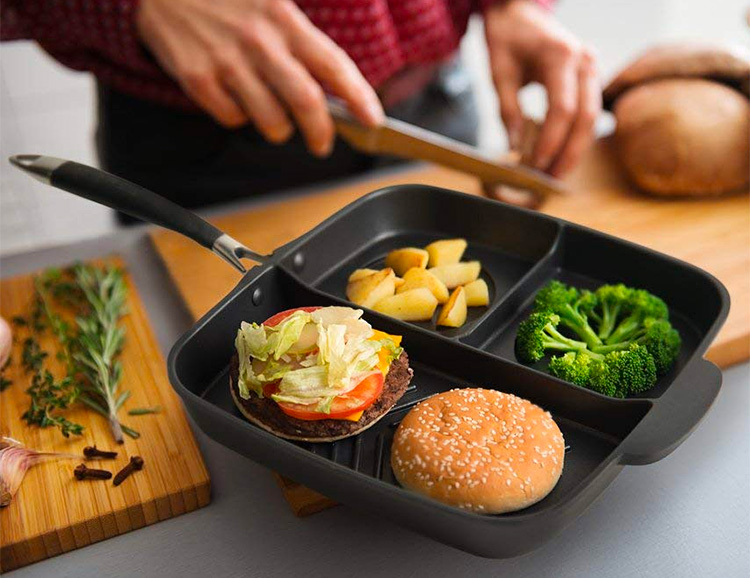 Available in a variety of shapes and sizes, they’re made from food grade 100% platinum silicone to be microwave, dishwasher, oven & freezer safe. A funded Indiegogo. The innovative OGarden Smart system aims to make at-home, and more specifically in-home gardening easier and more efficient than ever. 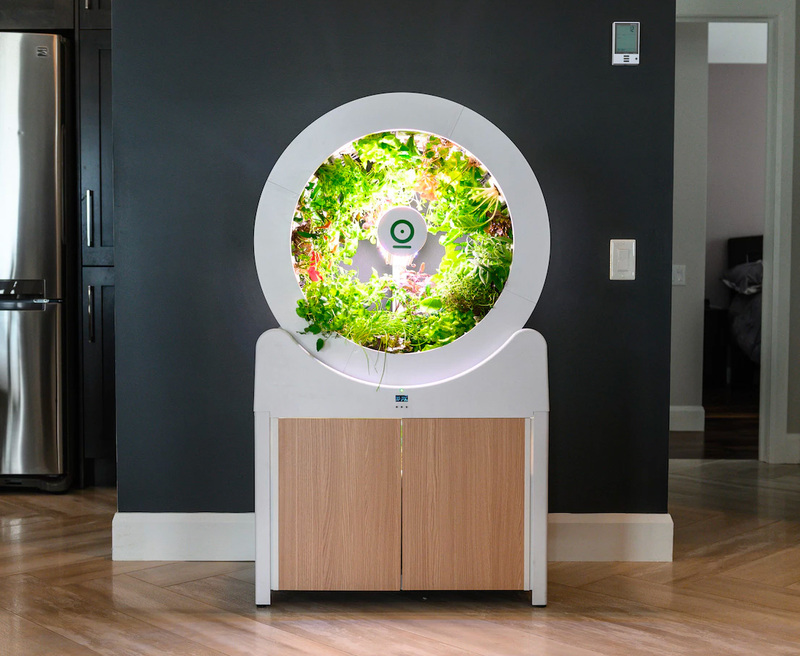 Powered by low energy LEDs that simulate sunshine, this self-contained, automated hydroponic garden can grow up to 90 different fruits and veggies at once. Automatic watering and lighting, year-round yields, and a beautiful design make this an awesome option for experienced green thumbs and aspiring growers alike. A funded Kickstarter. 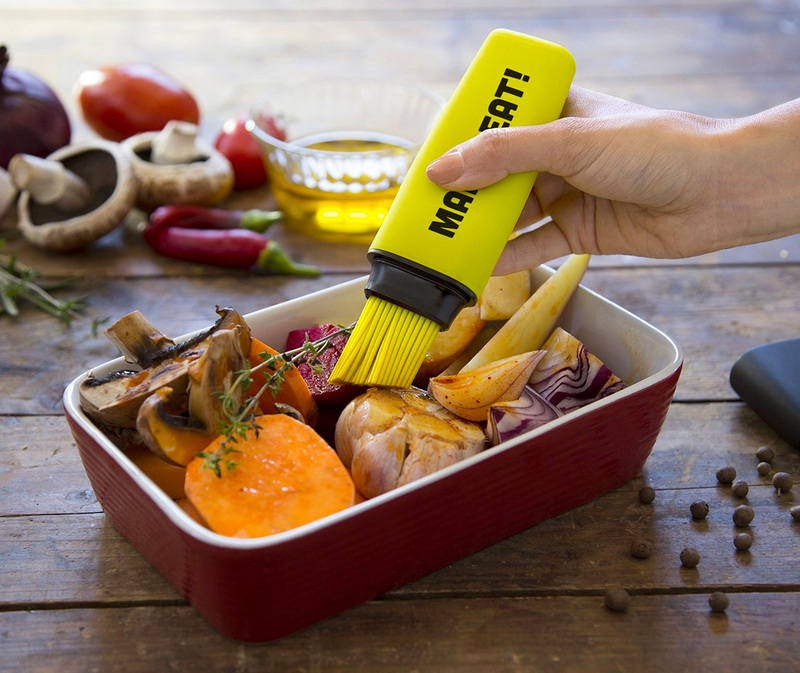 So yeah, the Mark-Eat basting brush sorta looks like a Hi-Liter marker, but it’s not for use at your desk, it’s for making your mark in the kitchen. Designed by award-winning OTOTO Studio, this squeezable baster features a fillable “tank”, is 100% food safe, BPA free, & dishwasher safe. 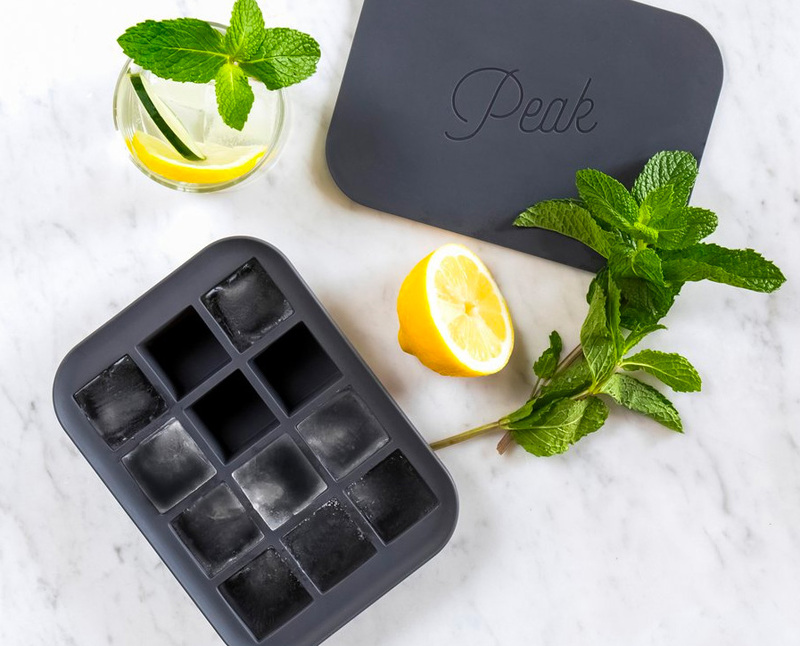 Because it’s made of soft, flexible silicone, the ice cubes pop right out of this travel ice tray from Peak. 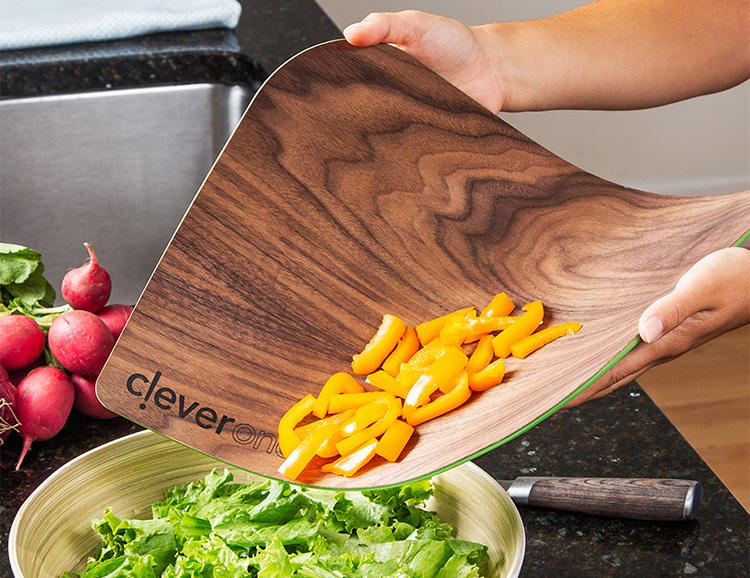 It’s BPA-free, dishwasher safe, and features a protective lid for keeping freezer burn out. It makes 12 cubes at a time—perfect for a round of cocktails anytime, anywhere. Available in a variety of colors and available singly or in sets of 2 or 4. 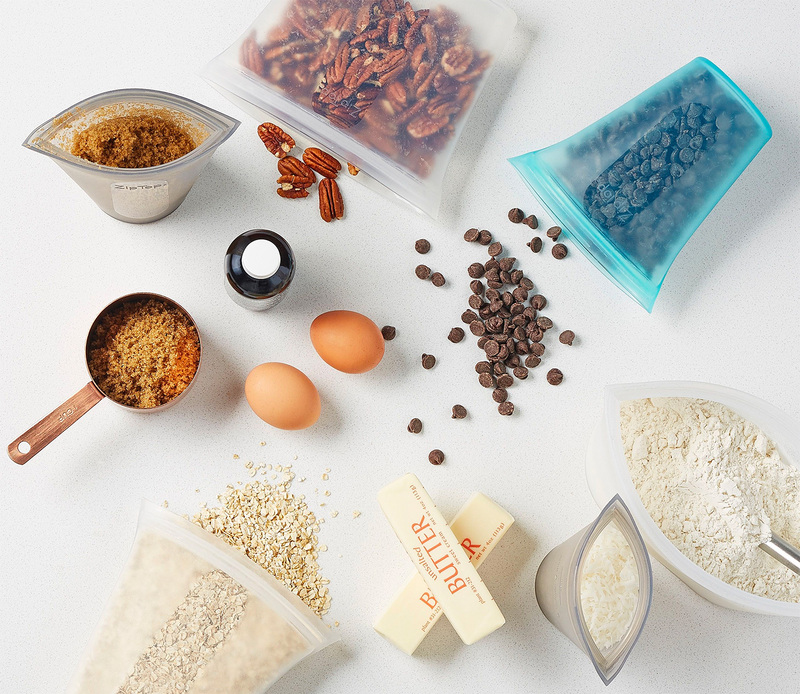 The Iconics Collection from Material Kitchen is a carefully curated selection of essential, high-quality kitchen tools. It includes a 4” paring, 6” serrated, and 8” chef’s knife plus stainless steel tongs, spoon, spatula, air whisk, and slotted spoon that all store on your countertop in a natural wood caddy available in various finishes. 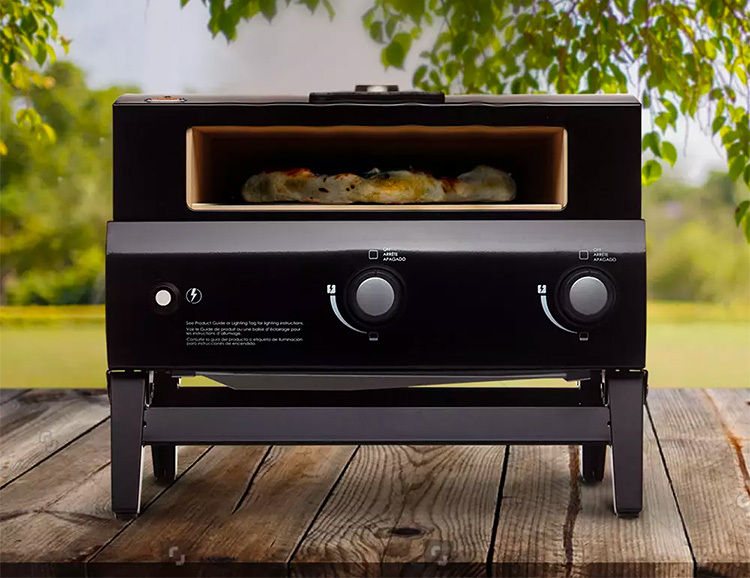 Combining convective, conductive and radiant heat, the Portable Gas Pizza Oven Box from Bakerstone quickly reaches the temps of a real wood-fired pizza oven. Reaching over 800º f in just minutes. Powered by propane, it is fully portable with travel-ready fold-up legs, so it’s good to go for making proper pizza anywhere you choose. 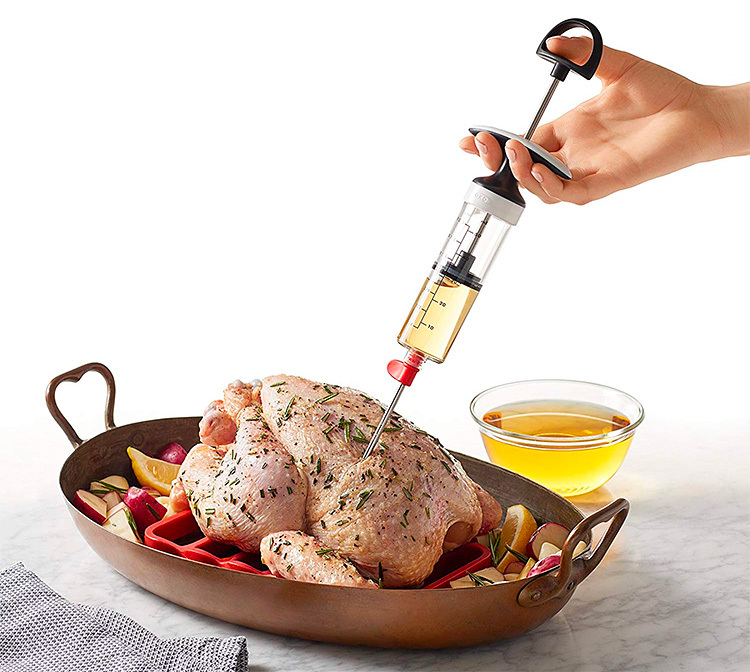 This sinister-looking device is actually a handy kitchen utensil; one that allows you to inject marinades, brines and other flavorings into your meat and poultry. It is faster & more effective than traditional marination. The device holds 2 ounces of liquid and features BPA-free & stainless steel parts. It also comes with an assortment of needles for handling both thicker & thinner injectables. The Masterpans were designed to cook everything & anything. They feature a divided design and raised ridges on the cook surface to keep grease and fat out of the way while producing legit grill marks. They’re also non-stick, with a double layer PFOA-free coating. The handles are removable for easy storage and portability and the pans feature an energy efficient induction base that distributes heat evenly. 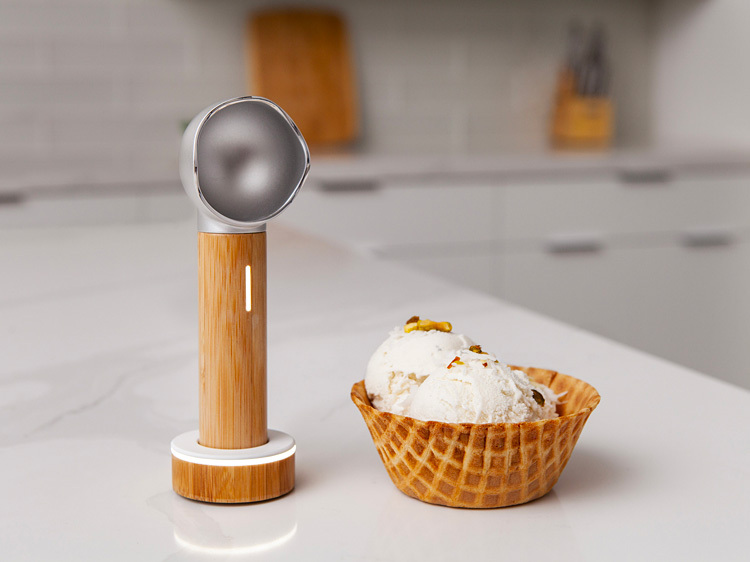 Just when you’re sure you’ve got every imaginable kitchen utensil stashed somewhere in your sea of drawers & cabinets, there’s this: SVANKi, the heated ice cream scoop. Press the button, it heats up. Then, you scoop a perfect scoop. Or 6. Or whatever you need. Cuts like a hot knife through butter. It stores in a wireless charging base, so it’s always ready to deploy when that Mint Chocolate Chip comes out of the freezer rock hard. A funded Kickstarter. 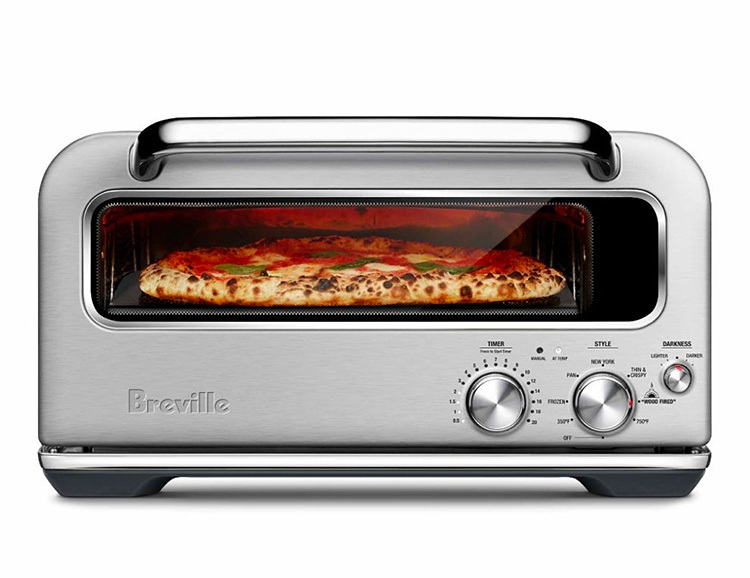 Designed to deliver killer homemade pizza, the Smart Oven Pizzaiolo from Breville is a compact countertop oven featuring an innovative Element IQ system that reaches temps of up to 750° and maintains them to produce perfect pies. A variety of settings allow you to create the ideal baking environment to suit your needs for cooking frozen, Neapolitan, or thick crust pizzas. The oven also comes with a stainless steel pizza peel, & a carbon steel pan with a removable handle. Combining Japanese steel with polished Damascus blades, the Shiroi Hana kitchen knife collection includes 10 premium quality knives that cover the full range of duties for a commercial kitchen. Recommended by Michelin Star chefs, the blades consist of 67 layers of premium steel, over an AUS-10 Japanese steel core. 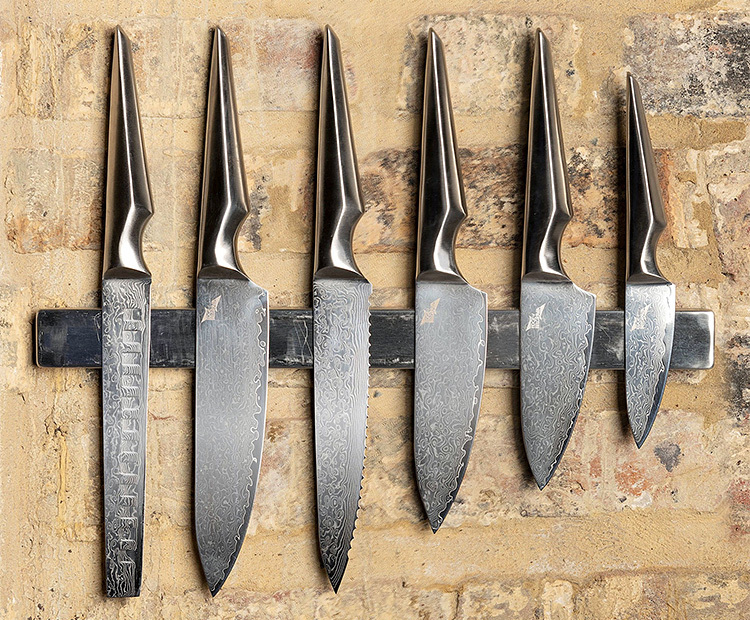 From the perfectly balanced 4” pairing knife to the 10” Magnum chef knife & everything in between, the collection is designed for durability & supreme sharpness. A funded Kickstarter. 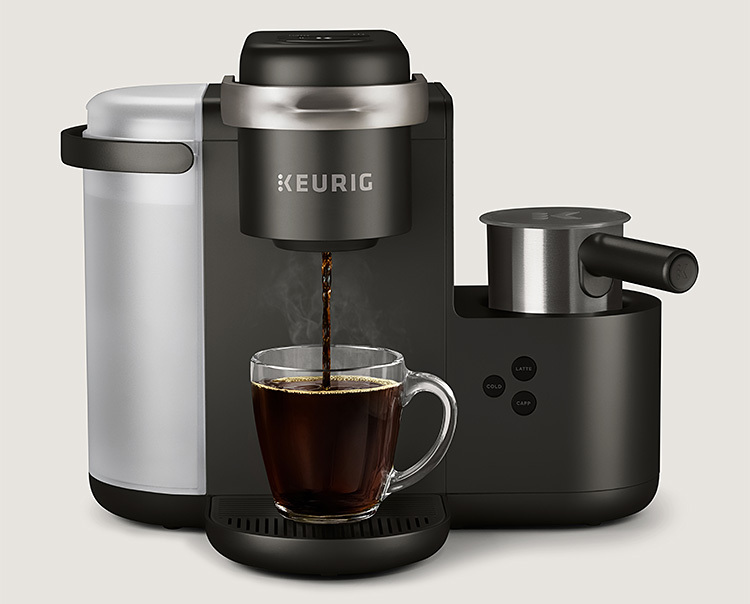 Keurig has made their virtually effortless K-cup system into a household name around the world. Now they’re stepping up their caffeinated offerings with the introduction of K-Café, a countertop cappuccino and latté machine that’s every bit as easy. It uses the same coffee pods to make your cappuccino and features an on-board milk frother. The water tank holds 60-ounces of water and it can also make regular 6-, 8-, 10-, and 12-ounce cups of coffee. For cappuccino drinkers who don’t want to deal with a real machine, this is a great alternative. Made in Wisconsin with wood sourced from North Carolina, woodNflex is a flexible cutting board that pairs the familiar feel of a real wood cutting surface with a silicone backing that lends grip and makes things a little bendy too, allowing you to transfer and pour ingredients. It also acts as a protective, low-profile cutting surface for your countertop that is lightweight and super thin, so clean-up and storing it is easy. 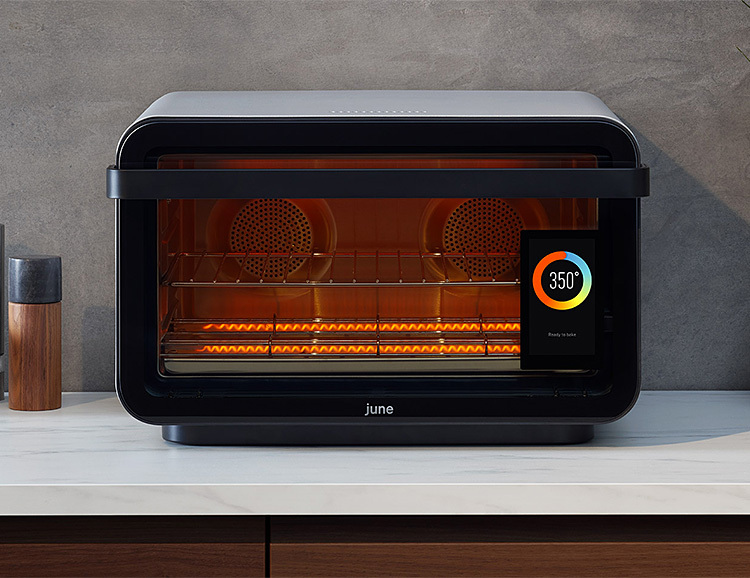 The original A.I.-powered June convection oven was designed to be smarter, faster, and easier, than a standard oven, using sensors & A.I to cook with more precision. Now the company improved and upgraded the design, introducing the 2nd generation June oven. With a small footprint on your countertop it will broil, roast, and bake as well as functioning as an air fryer, dehydrator, slow cooker, broiler, toaster, and warming drawer. It runs over 100 chef-developed programs to cook your food & this new model cooks faster, features a stainless steel interior and a new touchscreen interface. 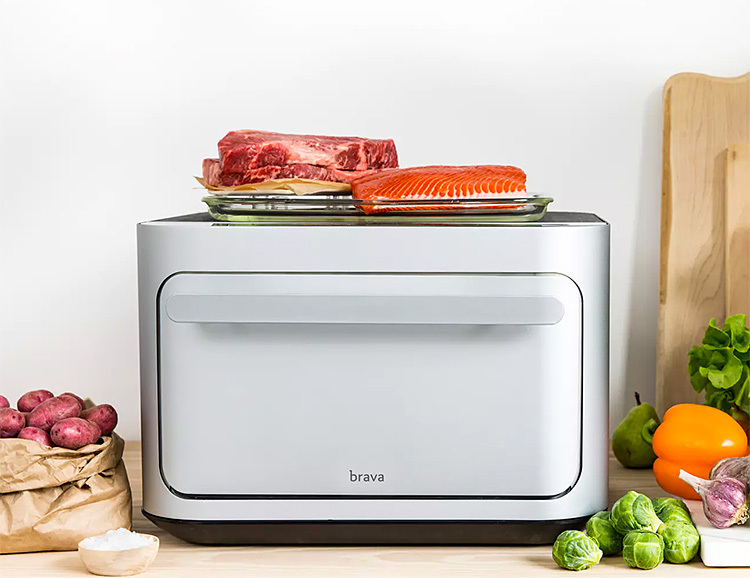 The Brava countertop oven uses available and infrared light for cooking. It sorta looks like a sleek, little microwave but instead of microwave radiation, it uses what the brand calls Pure Light Cooking technology, powered by 6 crystal bulbs. It allows the oven to heat up to over 500º in less than a second, making it much more efficient that any standard oven. It’s expected to ship in November. 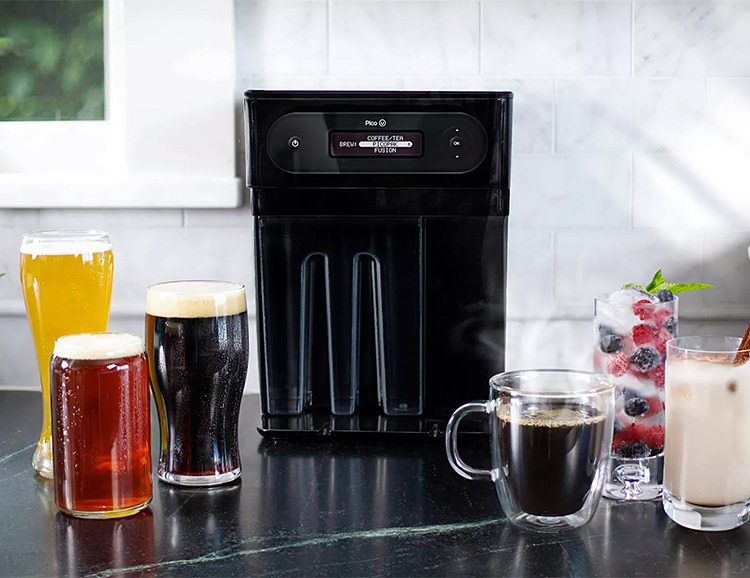 The Pico Universal brewing machine expands the function of PicoBrew’s no-skills-needed countertop brewing devices to include not just homemade beer but it now makes coffee as well as kombucha, dry soda, chai teas, and iced horchatas too. All these drinks are available in the brand’s pre-made & compostable PicoPaks.